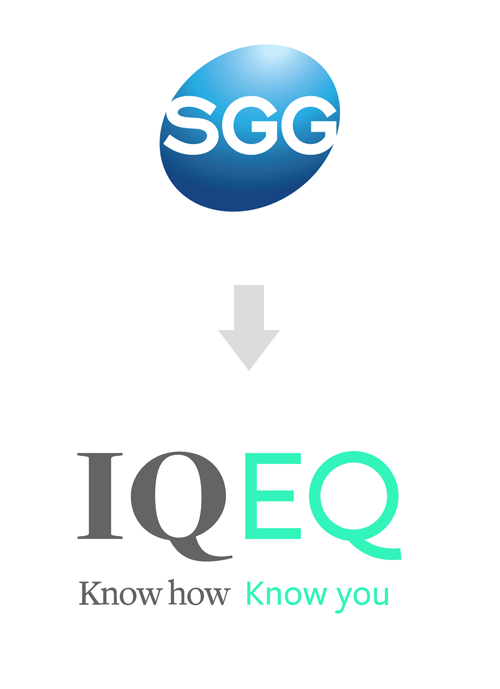 SGG Group, 4ème groupe mondial de services aux investisseurs, dont le siège social est basé au Luxembourg, devient aujourd’hui IQ-EQ (prononciation à l’anglaise). Un rebranding signé par Superunion, une agence du groupe WPP. La nouvelle marque IQ-EQ réunit désormais SGG, First Names Group, Augentius, Iyer Practice et Viacert sous un seul et même nom. « Our new name brings together the rare combination of technical expertise with a deep understanding of the needs of our clients. To deliver for our clients depends not just on our ability to provide expert services, but equally on how well we know them and their business. We believe in personal relationships developed over time. As a brand IQ-EQ perfectly embodies this thinking and reflects who we are and what we bring to the sector. It also represents another hugely successful step on our journey and is something we’re all incredibly excited about. » réagit Mark Pesco, CEO du Groupe. “Once more, IQ-EQ acts as a positive disruptor in our industry. Our new name unifies our brands under a unique and vibrant new identity. It bonds our staff under one promise: global technical expertise combined with a deep understanding of the needs of our clients. IQ-EQ stands out from the crowd and promises our clients and partners the right balance of intellectual and emotional intelligence working perfectly together.” poursuit Serge Krancenblum.